Wangari Maathai remains a national heroine in Kenya, several years after her death and more than a decade after she was awarded the Nobel Peace Prize (2004) for her work to preserve trees, forests, and green spaces. She stood up for women’s rights and challenged the country’s president (Moi) and patriarchy, suffering beatings and imprisonment in the process. 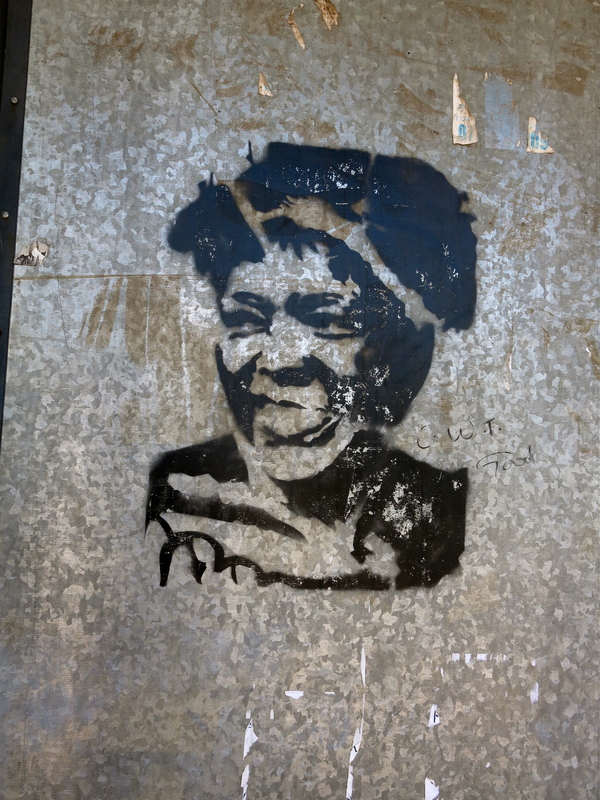 Her legacy is great, but at risk of fading in the face of political pressures and development forces. Symbolically, this graffiti image, which decorated a bus stop on a busy street in Nairobi, has now been covered with political posters related to Kenya’s upcoming presidential election.